According to the Chinese astrology, 2019 is a good year to make money and investments because it is the year of the Pig. It is believed that this year is full of happiness and love. 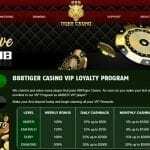 Real time Gaming took the opportunity of this year and decided to introduce their first video slot in 2019 to the Pig sign called Pig Winner Slot. Pig Winner consist of five-reel and three-row video slot. It offers 243 different ways to win. The main attraction of this year’s release is the Free Games feature. Whereas, the Pig is a grouped Wild that lands on reels two and four and doubles all prizes once there is a winning combination. 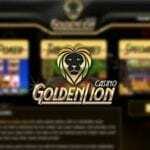 The cons are that there could be used more features and it takes some time to retrigger the free spins. The Chinese zodiac signs are on the reels in the Realtime Gaming title. For example, the Rat sign that like saving and collecting, the Ox who is the most responsible and hardworking , the Tiger sign which act as leader, the Rabbit sign act as polite and humble, the dragon that act as adventurous and romantic, the Snake sign act an idealist, the Horse sign that never gives up, the goat sign who has a kind-heart, the Monkey sign that take actions based on interest, the Rooster that is sensitive Rooster and finally the Dog who is conservative. The Pig can be used as a Wild which can be used as a substitute for symbolswith the exception of the Yin Yang Scatter, that helps to triggers the Free Games feature. Gameplay since Pig Winner video slot is not released yet; there is very little information available about the game. However, we have put our full effort to access as much information as we can. The 2019 game consist of five reels and three rows and chances from 243 ways in which a player can win. The player must land a minimum of three matching symbols on serial reels, ranging from the left reel to win cash. We have not discovered about the betting range; however, we predict that the maximum ranger will be around £100. Special options If you want to trigger the Free Games feature, punters must land at least three Yin Yang Scatters. Spinners can get eight free games with each additional Yin Yang Scatters and further Wilds on the reels. Pig Wilds can land on reels two and four, each in base game and the Free Games feature and can double all wins once there is a winning combination. There is also a chance to retrigger the feature for two times. After the eight free spin, the Pig Wild can triple all wins once there is a winning combination. The payouts of each sign are not known yet. It could be the Rat who has the highest payout or Pig or any other symbol. However, what is known to us that the highest payout will be 200 times the bet in one spin. The Pig winner slot is not only playable to desktops but also in smart phones. It does not matter whether you are using a phone or desktop your experience of the games will be same because the quality of the game is very good. This new game by Realtime Gaming can attract a lot of player in online casino slots USA who want to give a shot to their luck in term of success and money in the year of Pig. The game has free features which is strong point for attracting more player, however, there is some room for more features.